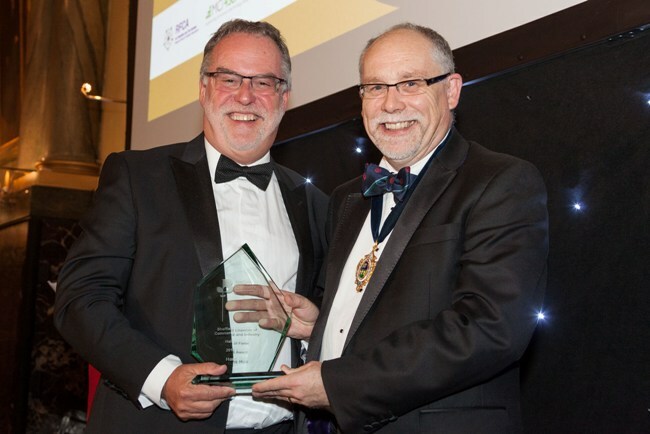 Group chairman and chief executive at B. Braun Medical Ltd, Hans Hux, has been recognised for his “contribution to Sheffield” with an award from the Sheffield Chamber. Chamber president and CEO of Pressure Technologies, John Hayward, said: “B. Braun has been a leading organisation in Sheffield for many years, they set an example of how a business needs to constantly re-invent itself to stay relevant and competitive in this changing international world. Based at Thorncliffe Park in Chapeltown, Sheffield, B. Braun Medical Ltd is a member of the B. Braun Group, one of the world’s leading healthcare companies. The business has 1,200 staff across the UK altogether, with decontamination facilities in Birmingham and Leeds, and 13 dialysis stations across the UK. 360 staff work at its Sheffield base. The company recently achieved record UK group sales of £186m, representing growth of five per cent on the previous year.